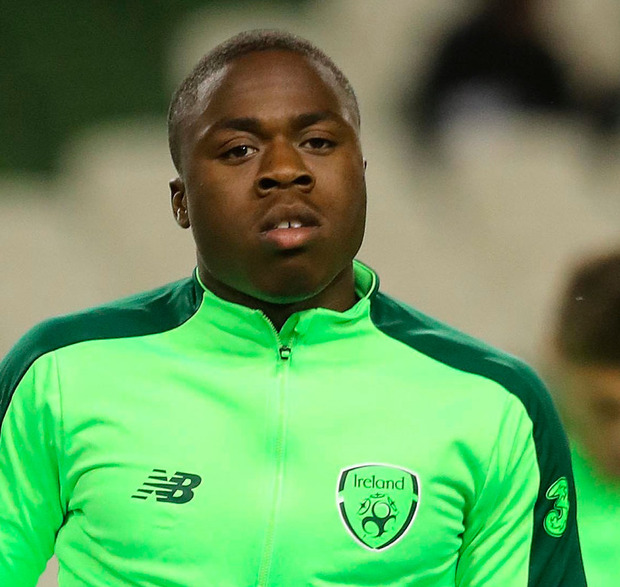 Martin O'Neill's last game as Ireland manager might leave a positive legacy for Mick McCarthy after Michael Obafemi continued his career progression by making his first start for Southampton against Manchester United on Saturday. And there was another encouraging weekend development for Ireland's new manager, with Declan Rice indicating that he has agreed to have a chat with McCarthy about his international future. No doubts surround Obafemi's long-term commitment after his cameo in Aarhus in O'Neill's final game in charge. The Dublin-born teenager, who opted to play for Ireland ahead of England and Nigeria, impressed on his full Premier League bow against United, making a goal in a busy 65 minutes before an injury ended his contribution. McCarthy was unable to watch Saturday's match due to commitments around the Dublin 2020 draw but he was heartened by word of Obafemi's involvement for Southampton. He said: "It would be great to have someone starting every week in the Premier League. Michael played well, apparently. I didn't get to see it but I hope he stays in the team because then I've got a Premier League footballer that I can pick." Rice is the other Irish-eligible teenager that has played in the Premier League this term, with the 19-year-old established to the extent that England want him on board. McCarthy has already held discussions with Rice's father Sean and the midfielder said after his side's 3-0 win over Newcastle on Saturday that he is up for a meeting with O'Neill's replacement. "Mick has spoken to my dad and he wants to meet me and my dad, which I said was fine," Rice said. "I haven't spoken to Mick myself yet, but my dad has. There is no date planned yet. There are a lot of things going on with my football at the moment. I'm playing here week in, week out, and obviously there's my contract situation, which is a lot to take on at a young age." McCarthy said he was happy that Rice is available to chat but won't get carried away by development. "I'm delighted that's what he wants to do because, if he said that he didn't want to meet, it would have been a problem," he said. Meanwhile, England manager Gareth Southgate was diplomatic when approached about Rice in Dublin at the Euro 2020 draw. 'It's a subject that's being discussed," he said. "He's a very good player. We've allowed him time to make his decision. We appreciate it's a difficult one to make and we've given him time and space."